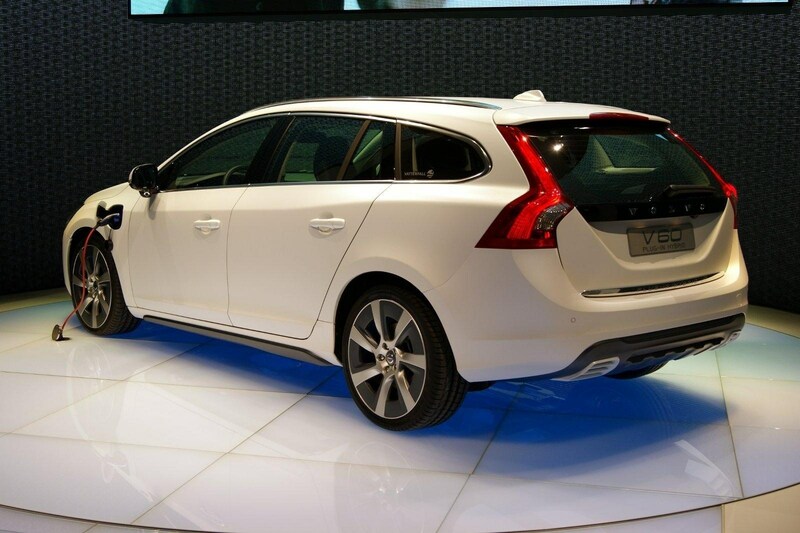 Το Volvo V60 Hybrid βρίσκεται στη Γενεύη. Η υβριδική έκδοση του V60, μηχανικά διαθέτει ένα υβριδικό σύστημα, το οποίο το έχει αναπτύξει από κοινού με την Σουηδική εταιρία ενέργειας, Vattenfall. Στον μπροστά άξονα έχει τοποθετηθεί ο D5 5κύλινδρος πετρελαιοκινητήρας 2.4 λίτρων απόδοσης 215 ίππων με 440 Nm ροπής ενώ στον πίσω ο ERAD ηλεκτροκινητήρας απόδοσης 51 kW (70 ίππων) ο οποίος τροφοδοτείται από μια μπαταρία ιόντων λιθίου 12 kWh. Οι δύο κινητήρες συνδυάζονται μέσω ενός 6-τάχυτου αυτόματου κιβωτίου. Η μέση κατανάλωση του ανέρχεται στο εκπληκτικό νούμερο των 1.9 λίτρων/100 χλμ εκπέμποντας 50 γρ/ χλμ CO2. Μάλιστα το αυτοκίνητο μπορεί να κινηθεί αποκλειστικά με τον ηλεκτροκινητήρα για 50 χλμ. Ο οδηγός μπορεί να επιλέξει ανάμεσα σε 3 προγράμματα λειτουργίας τα οποία ενεργοποιούνται με το πάτημα των αντίστοιχων κουμπιών που βρίσκονται χαμηλά στην κεντρική κονσόλα. Στη λειτουργία Pure το αυτοκίνητο λειτουργεί αποκλειστικά με τον ηλεκτροκινητήρα. Στη λειτουργία Hybrid λειτουργούν ταυτόχρονα τόσο ο ηλεκτροκινητήρας όσο και ο πετρελαιοκινητήρας ώστε να επιτυγχάνουν τη βέλτιστη ισορροπία μεταξύ οδηγικής απόλαυσης και παραγωγής ρύπων, ενώ στη λειτουργία Power ο ηλεκτροκινητήρας και ο πετρελαιοκινητήρας λειτουργούν σε πλήρη ισχύ ώστε να έχουν όσο το δυνατόν καλύτερες επιδόσεις. Σε αυτή τη λειτουργία τα 0-100 χλμ/ώρα έρχονται σε 6.9 δευτερόλεπτα. Η φόρτιση των μπαταριών μέσω απλής οικιακής πρίζας γίνεται σε 7.30 ώρες ενώ μέσω ταχυφορτιστή σε 3 ώρες. Από σχεδιαστικής πλευράς, το αυτοκίνητο δεν διαφέρει με την απλή έκδοση πέραν της νέας βαφής. Έχουνε τοποθετηθεί ελαφριές ζάντες με ελαστικά χαμηλής τριβής της Pirelli. Στο εσωτερικό υπάρχει νέος πίνακας οργάνων, Elmo δερμάτινες επενδύσεις και ένα νέο σύστημα ενημέρωσης μέσω του οποίου μπορείς να επιλέξεις όλες τις υβριδικές λειτουργίες του αυτοκινήτου. Η έκδοση παραγωγής θα παρουσιαστεί μέσα στο 2012 και θα διαφέρει ελαφρώς από αυτή που βλέπουμε. 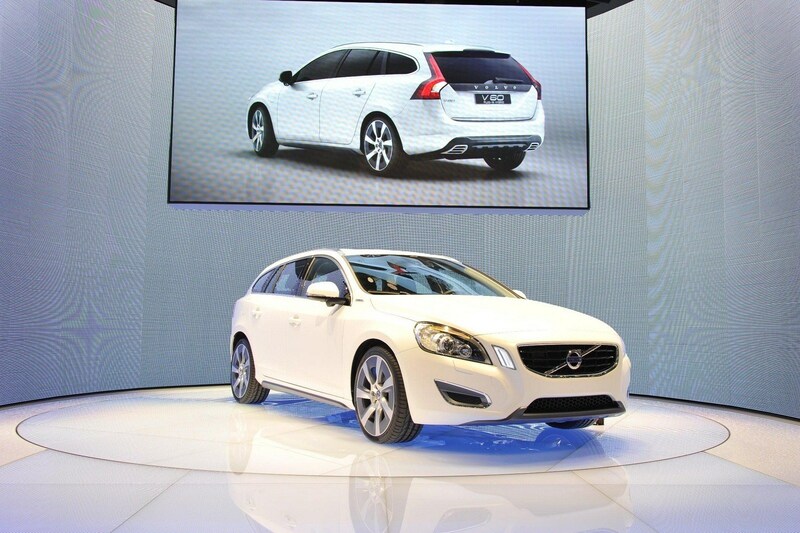 At the 2011 Geneva Motor Show, Volvo Cars will be unveiling the V60 Plug-in Hybrid – a virtually production-ready car with carbon dioxide emissions below 50 g/km. 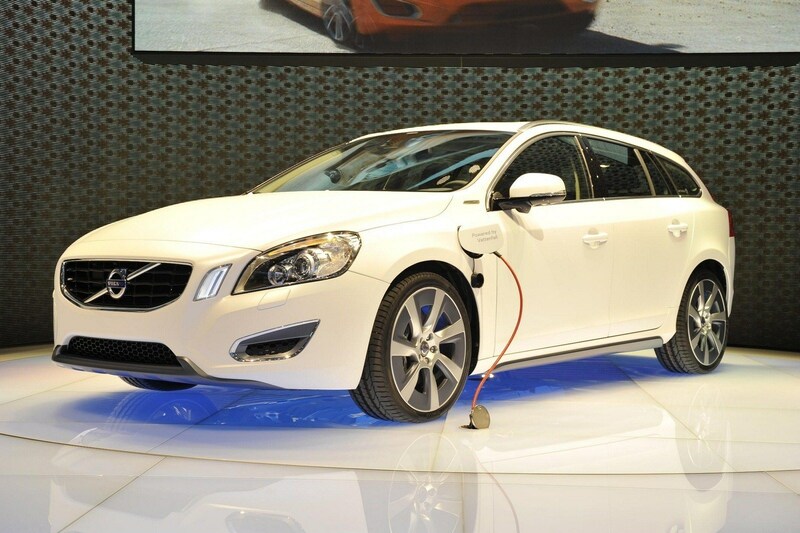 The Plug-in Hybrid, which will be launched on the market in 2012, is the result of close cooperation between Volvo Cars and Swedish energy supplier Vattenfall. 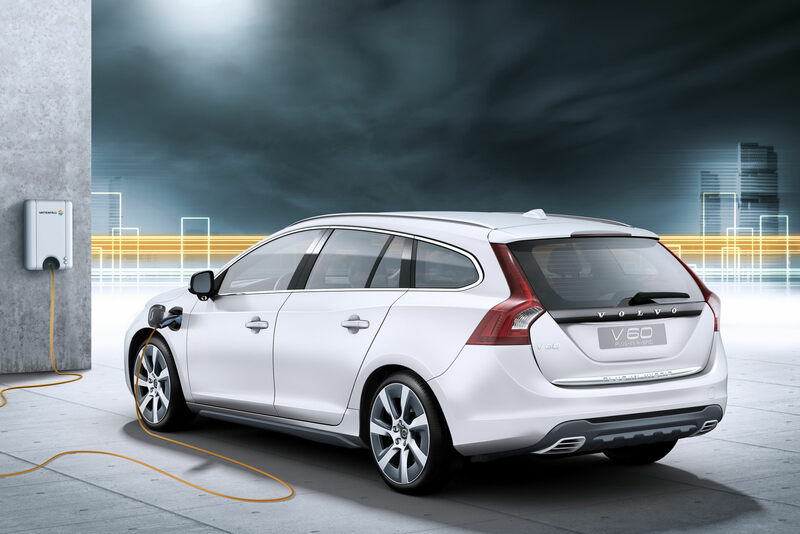 Cheaper fuel costs When powered solely by electricity, the V60 Plug-in Hybrid has a range of up to 50 kilometres. The car’s total operating range is up to 1200 km. Carbon dioxide emissions will be an average of 49 grams per kilometre (EU Combined) and fuel consumption will be 1.9 litres per 100 km. 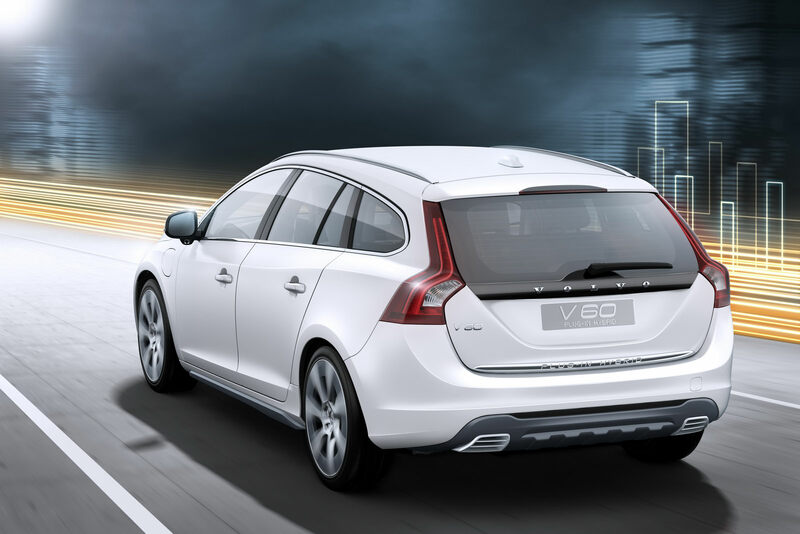 The cost of the battery pack means the plug-in hybrid will be more expensive to buy than a Volvo V60 with a conventional combustion engine. On the other hand, fuel costs will be one-third compared with a conventional combustion engine. The cost of running on electricity in Sweden has been calculated at about 2.50 kronor per 10 km. The exact cost will vary from one market to another. 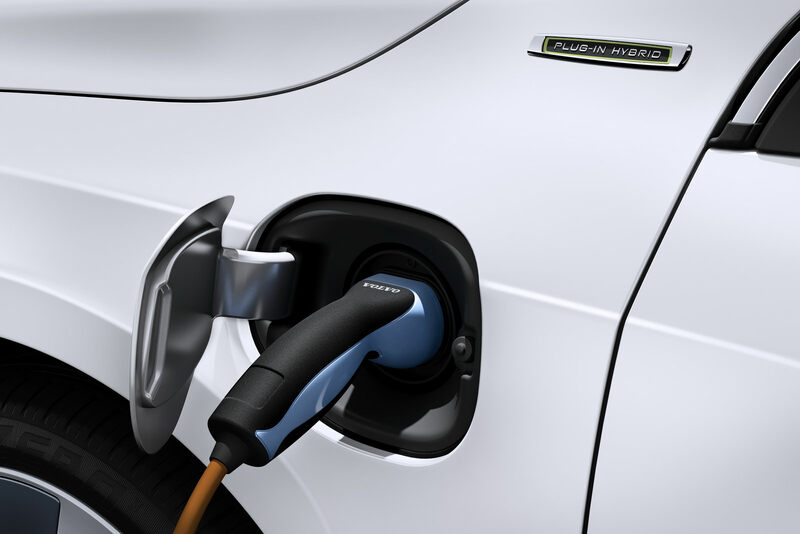 The plug-in hybrid can be charged via a regular household electricity socket at home or when parked somewhere else. Charging time is about five hours if the car is recharged at home. An electric motor is almost four times as efficient as a regular combustion engine. This means that an electrically powered car consumes less energy and thus produces lower emissions, even if it is powered by a blend of electricity sources that include fossil fuels. European electricity production has an emission ceiling. This means that even if all vehicles were to run on electricity, electricity production itself is not allowed to produce more carbon dioxide. This emission ceiling will be gradually lowered over a period of time. Electricity is an excellent source of energy. It does not risk running out, and it can be produced virtually without any CO2 emissions. For instance, Vattenfall is working towards halving the company’s emissions by 2030 and becoming climate-neutral by 2050. Emissions from millions of exhaust tailpipes are transferred to a small number of production facilities, which are easier to control and which will operate on the basis of the EU’s trade in emission rights, something that does not apply to the transport sector at present. Electric vehicles use relatively little electricity and the increase in consumption will be more than covered by ambitious expansion plans for renewable energy sources throughout Europe. A single wind-power station, for instance, produces sufficient renewable energy to power 3,000 electric cars. Vattenfall will offer buyers of the plug-in hybrid a contract including electricity from renewable sources. Rapid expansion of renewable electricity production Electricity production is undergoing rapid expansion. Wind-power is being commercially introduced on a large scale and is continuing to expand, biofuels will replace fossil fuels on a broad front, wave-power is expected to enter commercial operation within ten years, and new technology to clean CO2 emissions from coal-fired power stations is currently under development. 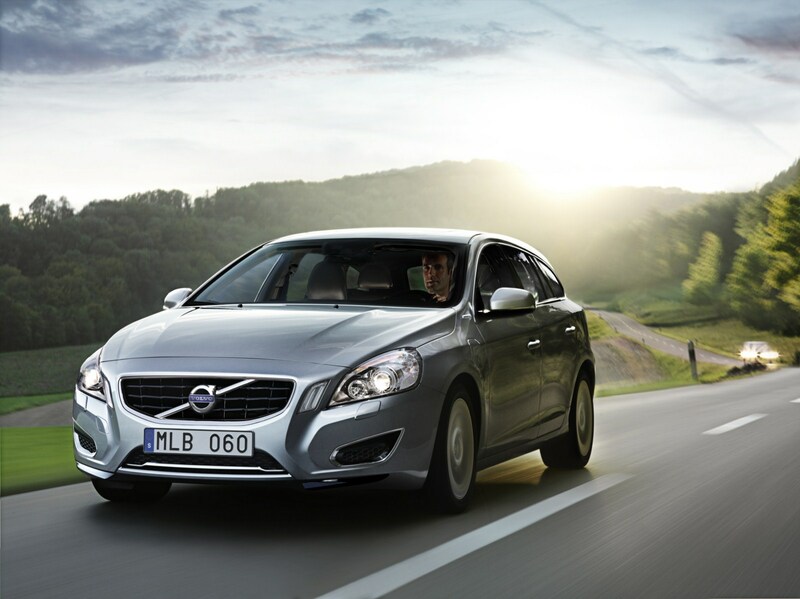 At Volvo Cars, work progresses on the V60 Plug-in Hybrid in parallel with development of the Volvo C30 Electric, which runs entirely on electricity. “These two car types complement one another. 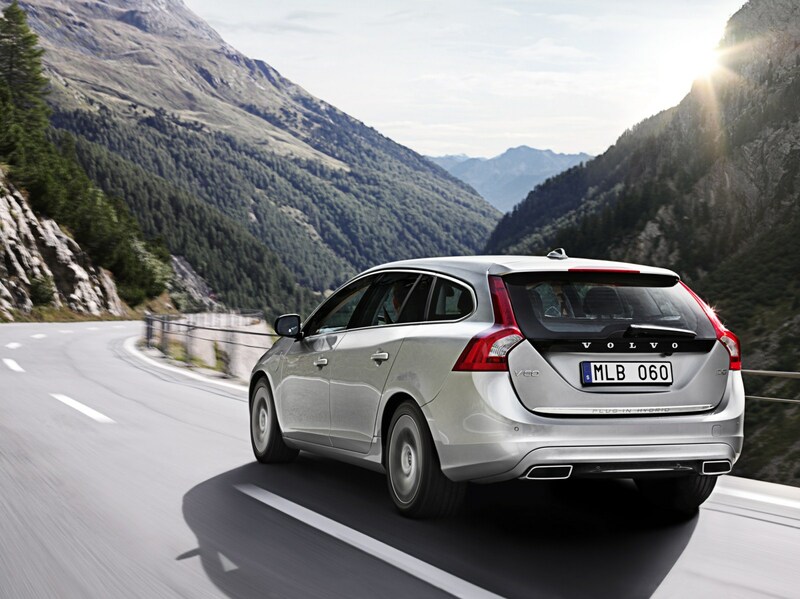 With a plug-in hybrid the driver is entirely independent of recharging stations when driving long distances. The future electric-car market will feature a mixture of both all-electric cars and plug-in hybrids,” says Stefan Jacoby. 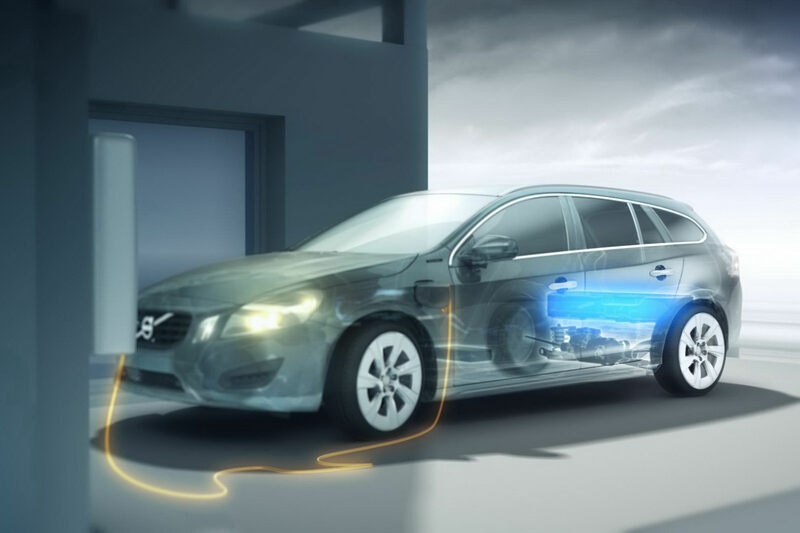 The third leg in Volvo Cars’ electrification strategy is empowering the upcoming engine generation with hybrid technology. An electric car with a range of up to 50 kilometres. A high-efficiency hybrid with carbon dioxide emissions averaging just 49 g/km. A muscular fun-to-drive car with a combined output of 215 + 70 horsepower, 440 + 200 Nm of torque and acceleration from 0 to 100 km/h of just 6.9 seconds. 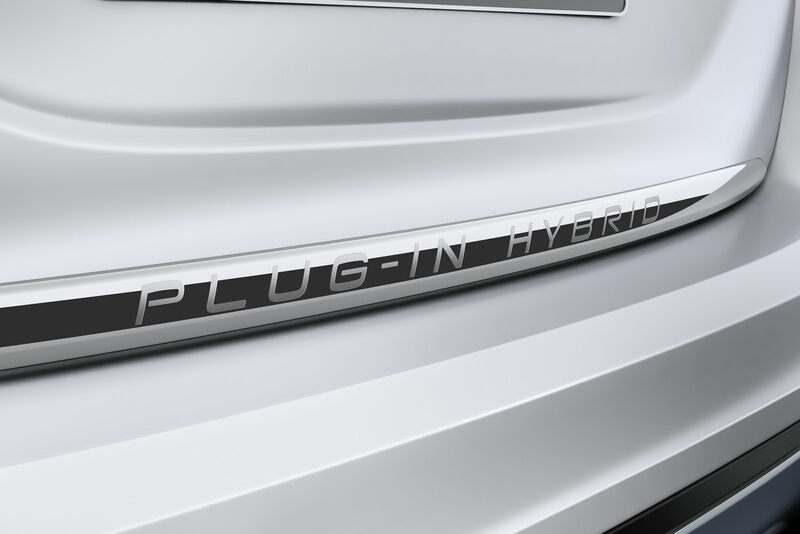 Allow us to present the world’s first diesel plug-in hybrid. 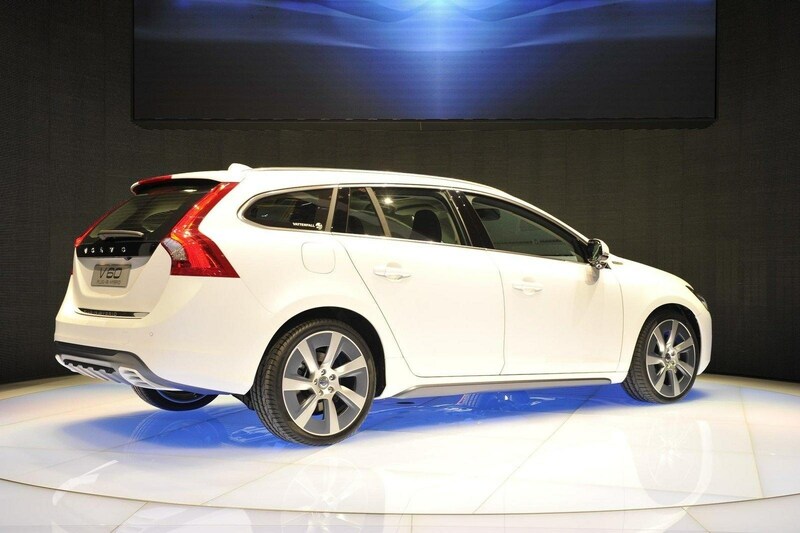 Volvo V60 Plug-in Hybrid will reach the showrooms 2012. In Pure the car runs only on its electric motor as much as possible. 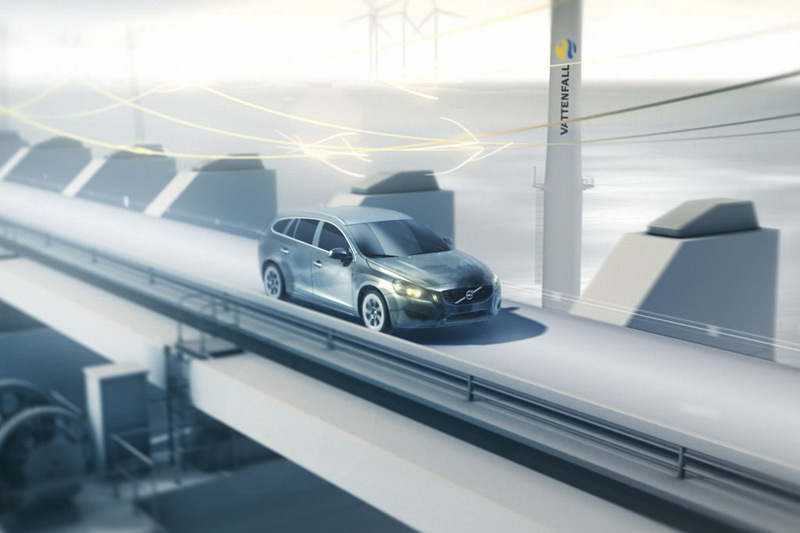 If the battery has been recharged using electricity from a renewable source, the driving range is up to 50 km with zero emissions of carbon dioxide. Battery range varies with terrain, climate and driving style. Hybrid is the default mode whenever the car is started. The diesel engine and electric motor interact to provide the optimal balance between driving pleasure and low environmental impact. Emissions of CO2 (EU Combined) are 49 g/km, corresponding to diesel fuel consumption of 1.9 l/100 km. The car’s total range is up to1200 km. 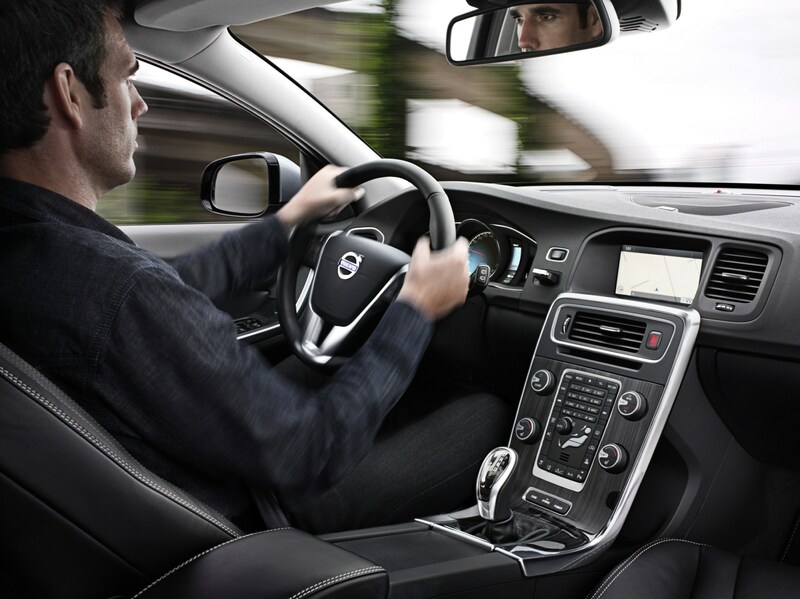 In Power the technology is optimised to give the car the best possible performance. 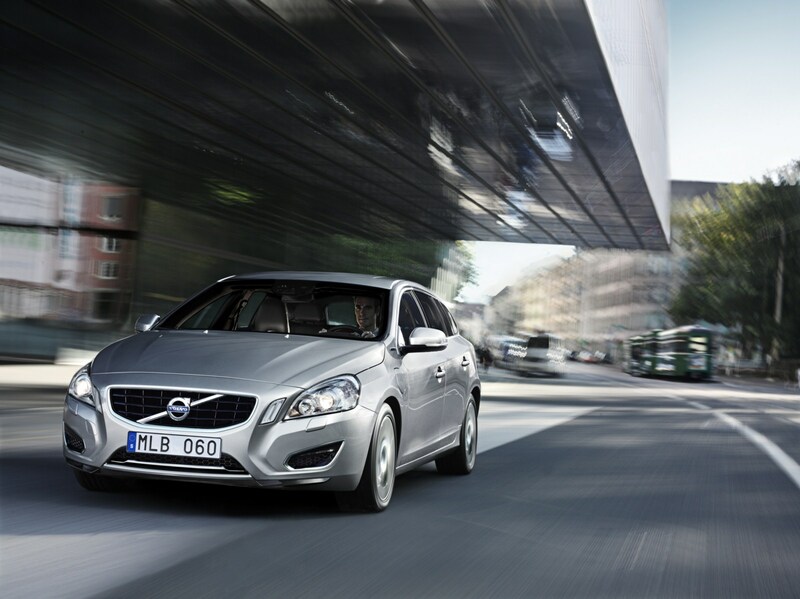 The diesel engine and electric motor have a combined power output 215 + 70 horsepower and maximum torque of 440 + 200 Nm. The electric motor’s lightning-quick torque delivery contributes to the car’s 0 to 100 km/h acceleration time of 6.9 seconds. The majority of all European car drivers cover less than 50 km a day, for instance to and from work. On longer trips, the diesel engine is activated automatically, giving the car the same properties and range as a conventional hybrid. The driver can choose to save battery capacity in order to be sure of driving on clean electricity later, for instance after entering the city. 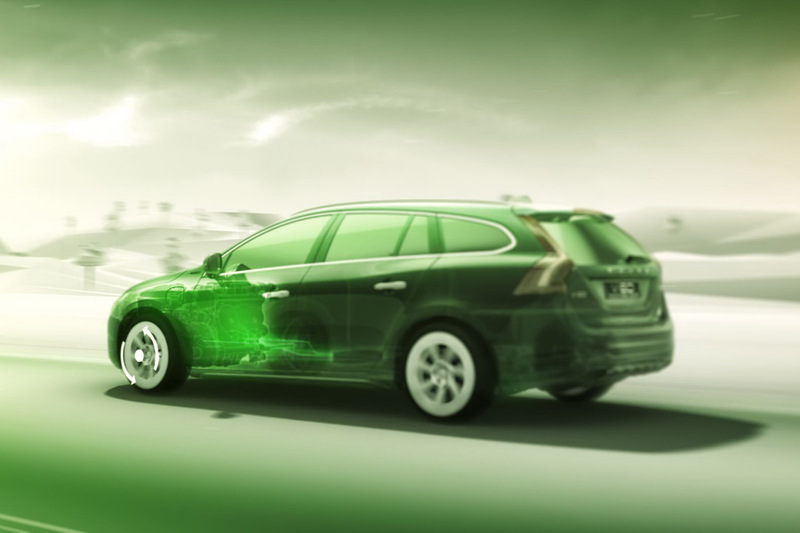 In order to maintain a sufficient battery charge level, the car is powered by its diesel engine. 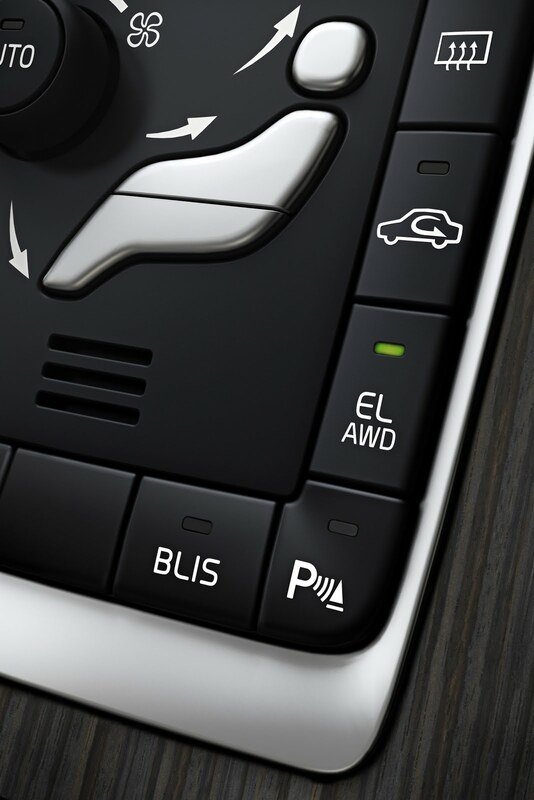 Pushing the AWD button in the centre stack activates electric four-wheel drive. 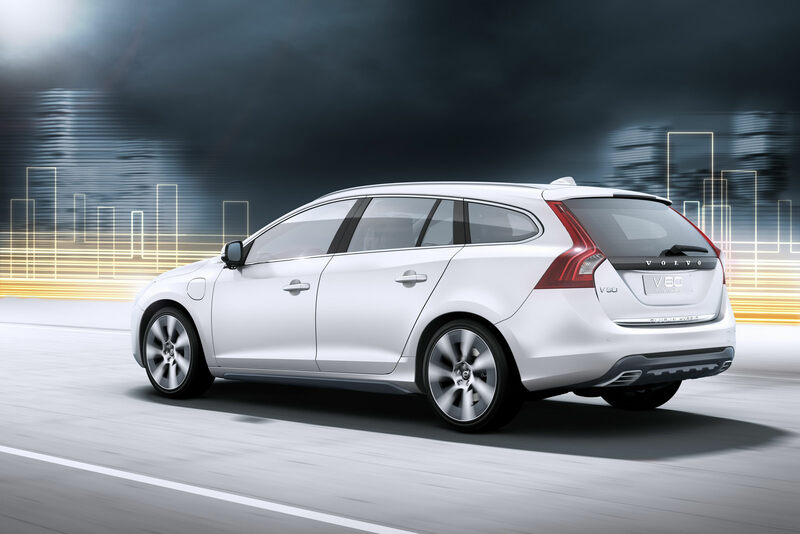 Instead of the mechanical power transmission of the conventional AWD system, the central control unit manages torque distribution to the diesel-driven front wheels and the electrically powered rear axle. Via the car setup menu, the driver can key in the planned route’s distance (short, medium or long). The control system calculates the balance between diesel and electric power to obtain the lowest possible CO2 emissions for the given distance. 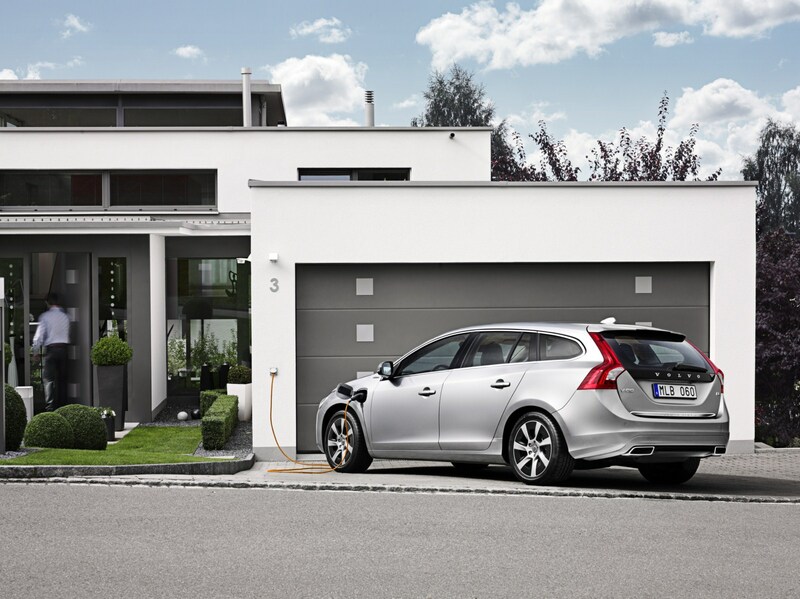 Recharging at home The Volvo V60 Plug-in Hybrid is recharged via a regular power socket (230V/6A, 10A or 16A) at home or in a parking lot. The charging time depends on the level of the current. A full 10A charge takes 4.5 hours. The time is shortened to 3 hours with 16A, while a charge in a 6A socket takes 7.5 hours. To get a comfortable start of the journey, the car driver has the possibility to preheat or cool the passenger compartment during the recharging process. This also means that more battery capacity can be used for powering the car. The pre conditioning is programmed via a timer integrated into the car’s setup menu or remotely via a mobile phone. 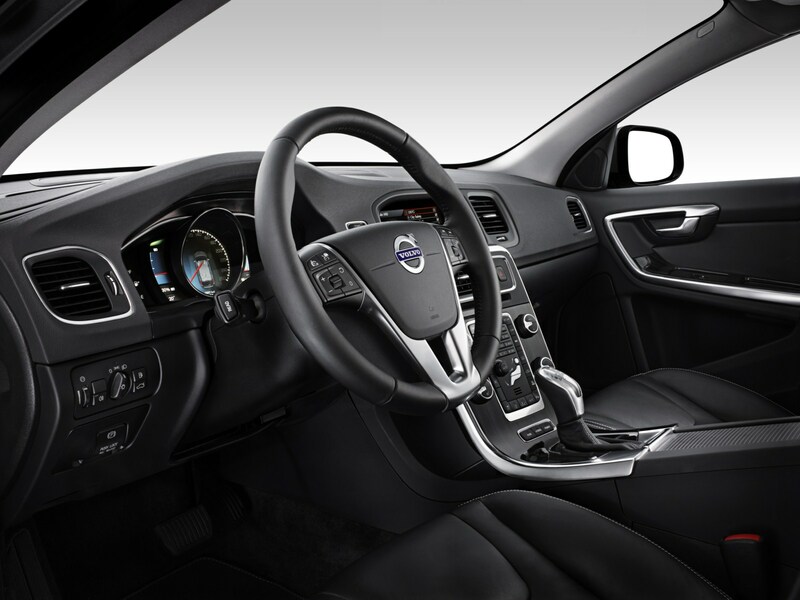 Special white paintwork The Volvo V60 Plug-in Hybrid features a special white paint supplied by Dupont – and the interior also has several unique details and colours compared with a standard V60, such as leather upholstery from Elmo. 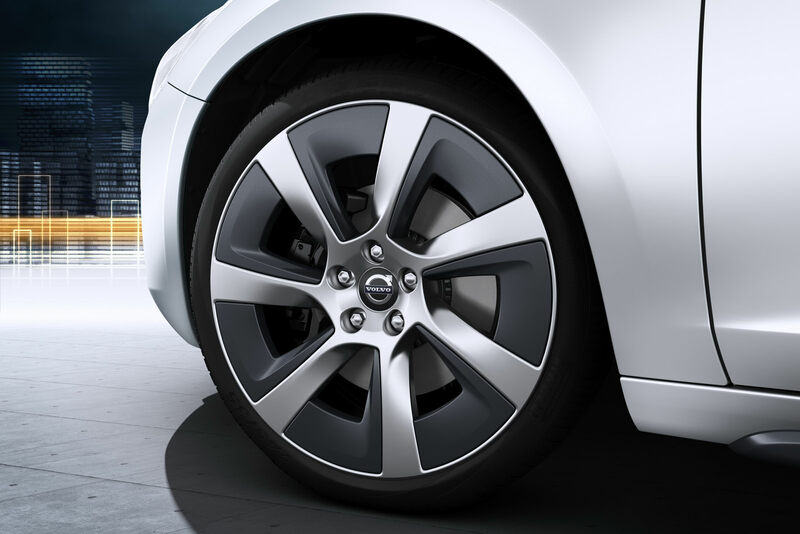 On the outside the car has several additional features that emphasise its CO2-lean profile, such as lightweight wheels with exceptionally low air drag and Pirelli tyres designed for low rolling resistance. 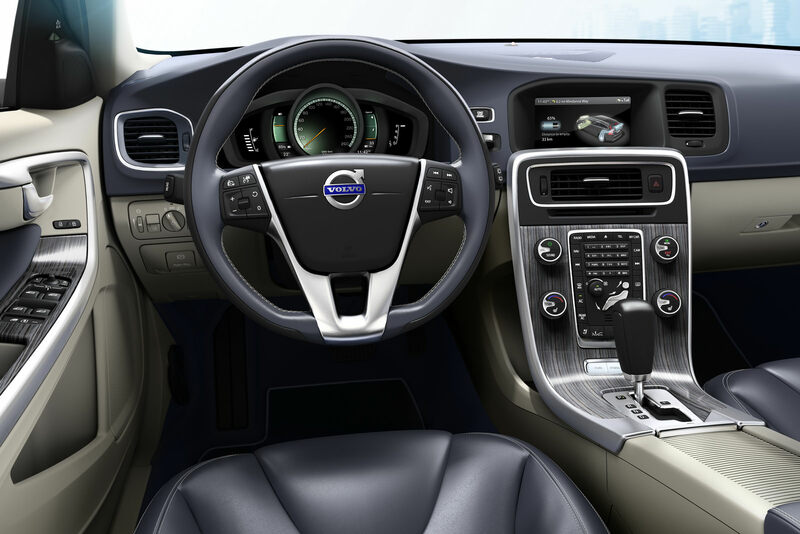 The instrument panel in the Volvo V60 Plug-in Hybrid has been modified to give the driver a full range of important information about diesel and electricity consumption, battery charge level, remaining range and so on. 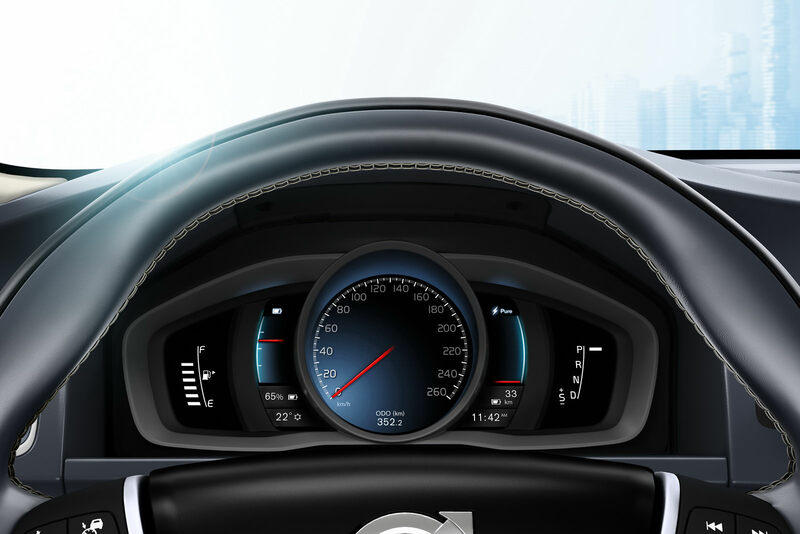 It will also be possible to communicate with the car via a mobile application. This gives the owner access to a number of smart features, such as a reminder to plug in the charging cable if this hasn’t been done at a certain, pre-set time. 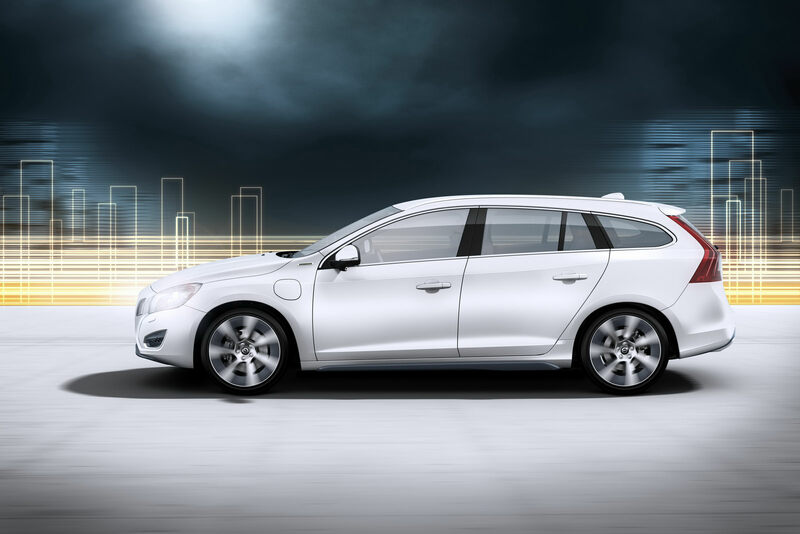 Volvo V60 Plug-in Hybrid will be presented at the 2011 Geneva motor show. It is a virtually production-ready car with carbon dioxide emissions below 50 g/km. The car can be driven on diesel power alone, as a diesel-electric hybrid, or as an electric-only car – technology that no other manufacturer can currently offer. 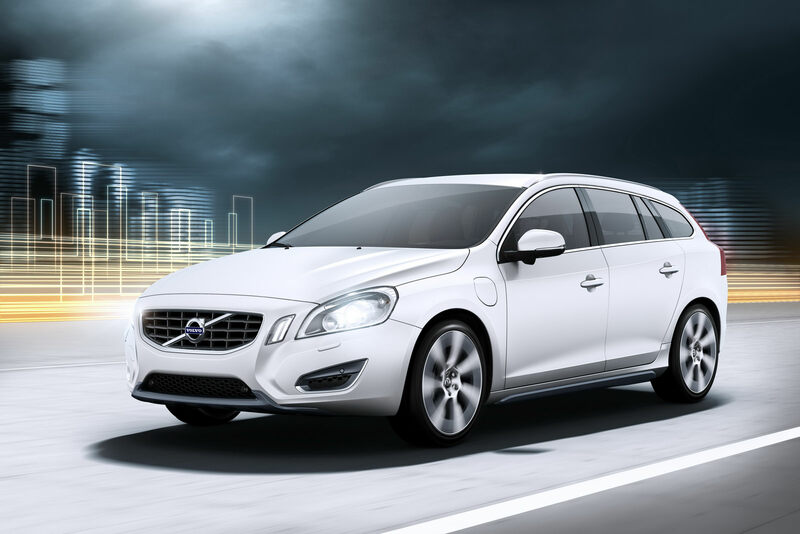 The plug-in hybrid, which will be launched on the market in 2012, is the result of close cooperation between Volvo Cars and energy supplier Vattenfall. 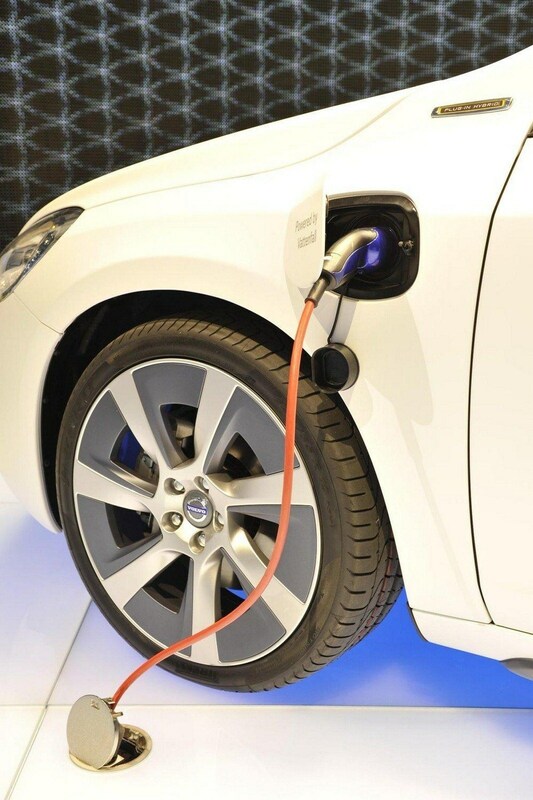 Half the CO2 emissions, all the driving pleasure In January 2007, Volvo Cars and Vattenfall launched an industrial partnership whose aim was to test and develop plug-in technology. One of the results of this cross-border initiative was the formation of a jointly owned company, V2 Plug-in-Hybrid Vehicle Partnership. Both companies are jointly funding the development process. 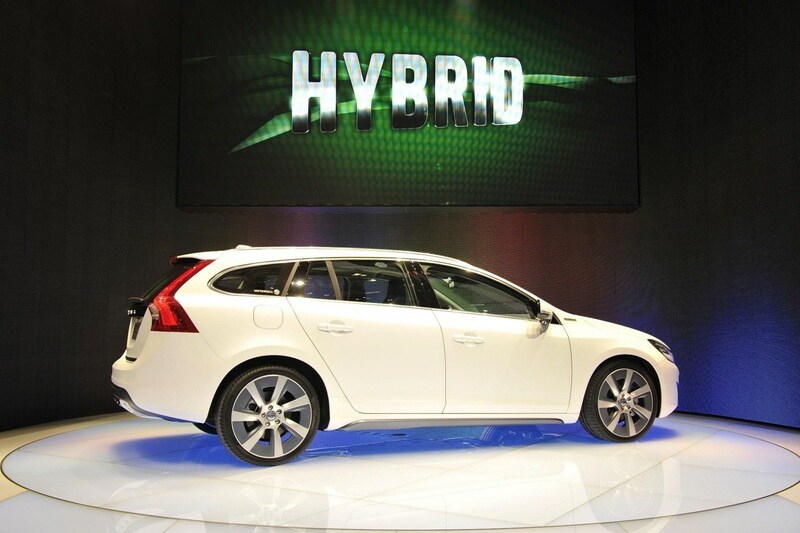 The project is now on the threshold of market introduction of the world’s first diesel plug-in hybrid. It’s a highly attractive car platform that gives the user access to the very best properties of both an electric car and a diesel-powered car: very low fuel consumption and CO2 emissions, along with a long operating range and high performance. “In order to persuade true car enthusiasts to think green, you have to give them the opportunity to drive carbon dioxide-lean but without diluting the adrenaline kick that comes with genuine driving pleasure. This second-generation hybrid is the perfect choice for the uncompromising buyer who wants a car with superior green credentials and a thrilling drive,” says Stefan Jacoby. 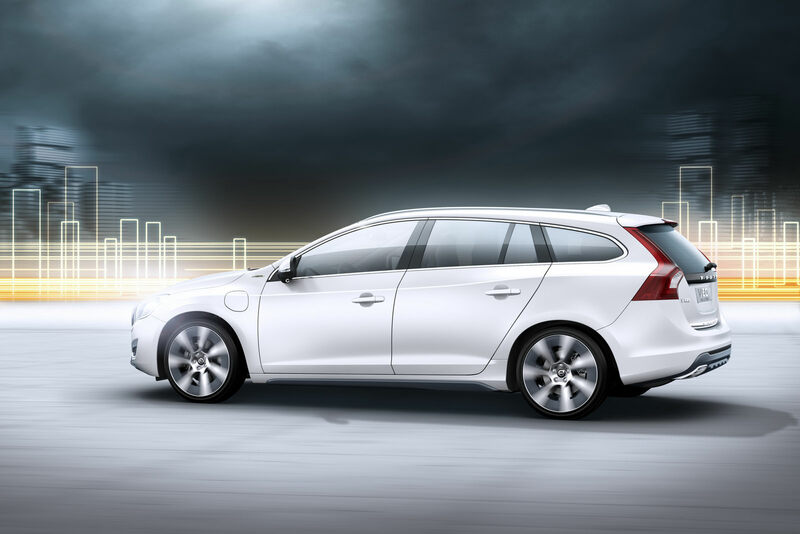 In the Volvo V60 Plug-in Hybrid the buyer gets the very best properties of three distinct car types. At the touch of a button the driver can decide how he or she wants to drive. 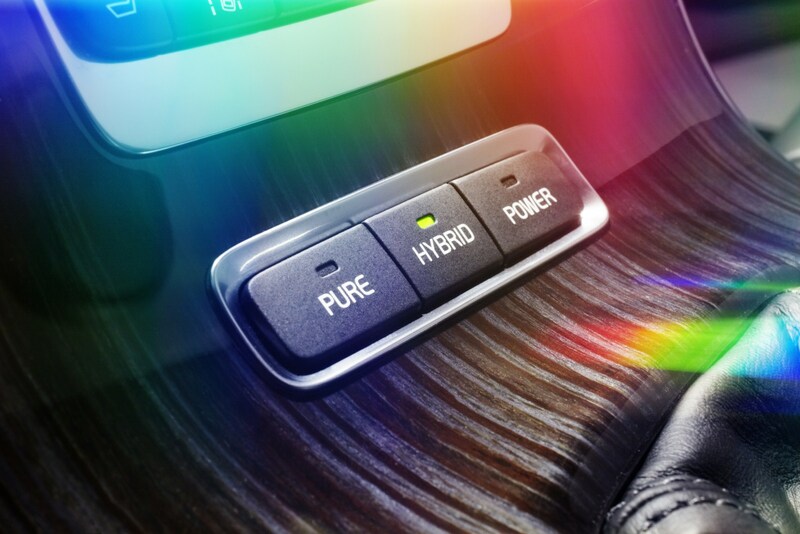 The “Pure” button makes the car run entirely on electricity, giving it a range of up to 50 kilometres. 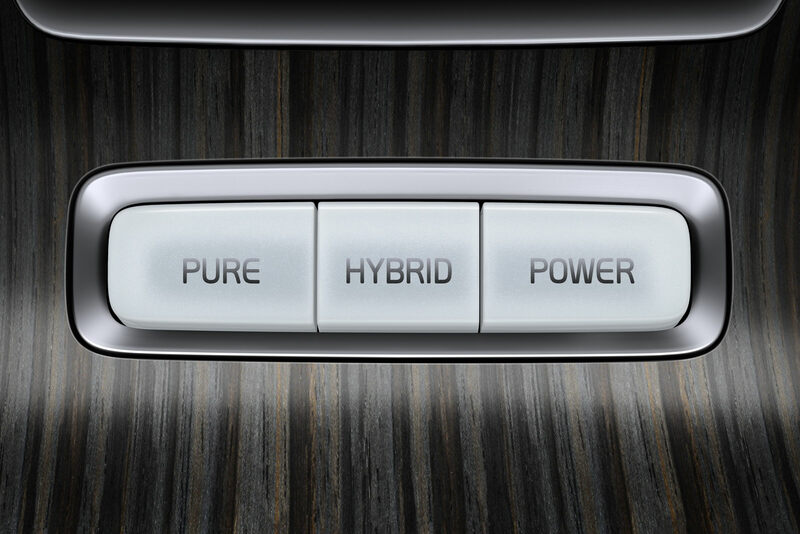 Press “Hybrid” and you are driving a high-efficiency hybrid with average carbon dioxide emissions of just 49 g/km. Choose “Power” and you’ll have at your command a veritable powerplant providing a combined total of 215 + 70 horsepower and acceleration from 0-100 km/h in just 6.9 seconds. Electric power offers a range of benefits The new technology also underscores the fact that electric power is the future for the transport sector. An electric motor is about four times more energy-efficient than a combustion engine, and it offers several additional benefits such as far lower fuel costs, no local CO2 emissions and much quieter operation. The increase in electricity consumption caused by electric cars is more than covered by the ambitious expansion plans on the table for renewable energy sources throughout Europe. One normal-size windpower station, for instance, produces sufficient renewable energy to power 3000 electric cars. On its domestic markets, Vattenfall will offer buyers of the plug-in hybrid one hundred percent renewable electricity. “The huge environmental and consumer benefits of the electric car mark it as a highly significant step forward in the battle against climate change,” says Øystein Løseth. 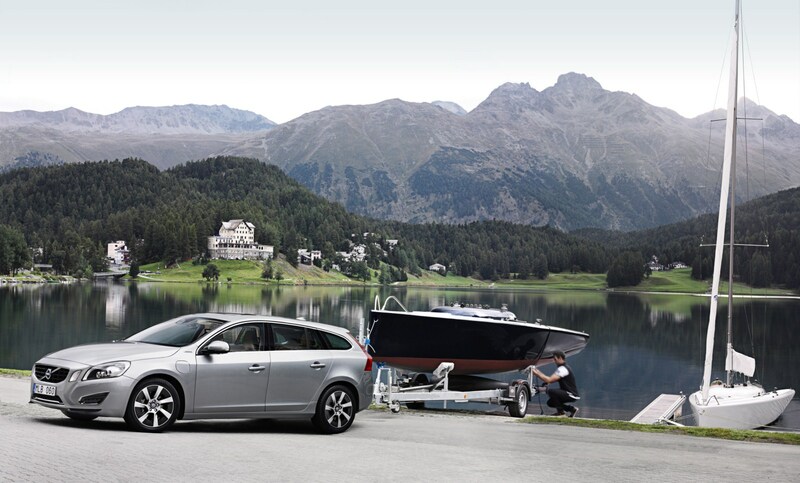 The Volvo V60 Plug-in Hybrid includes a systematic approach to all safety aspects related to battery power. 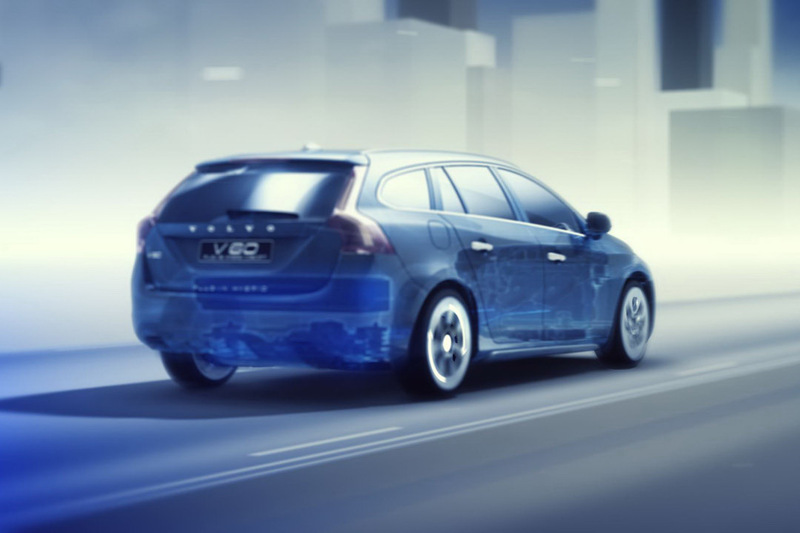 The basic perspective is that the battery-powered Volvo must be as safe as any other new Volvo car – when it comes to owning and driving and also in the event of an accident. 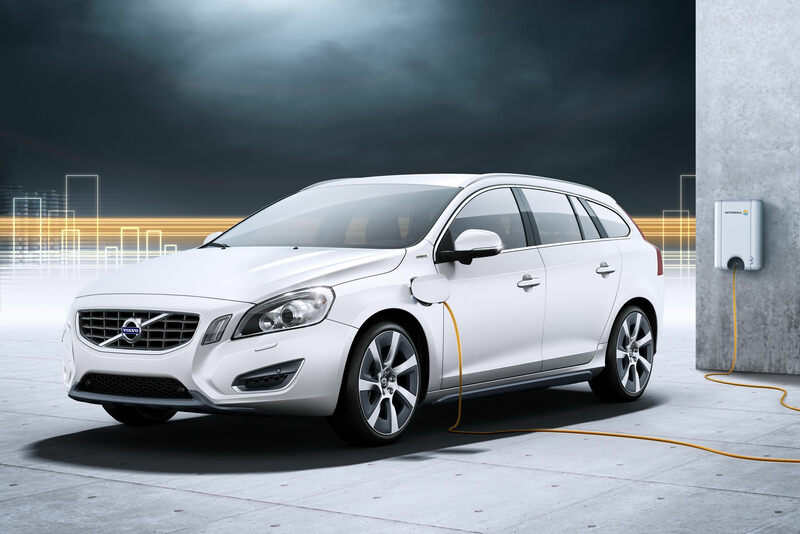 Monitoring and encapsulation Volvo Cars is currently conducting wide-ranging and thorough analysis of a variety of safety scenarios for cars with electric power. 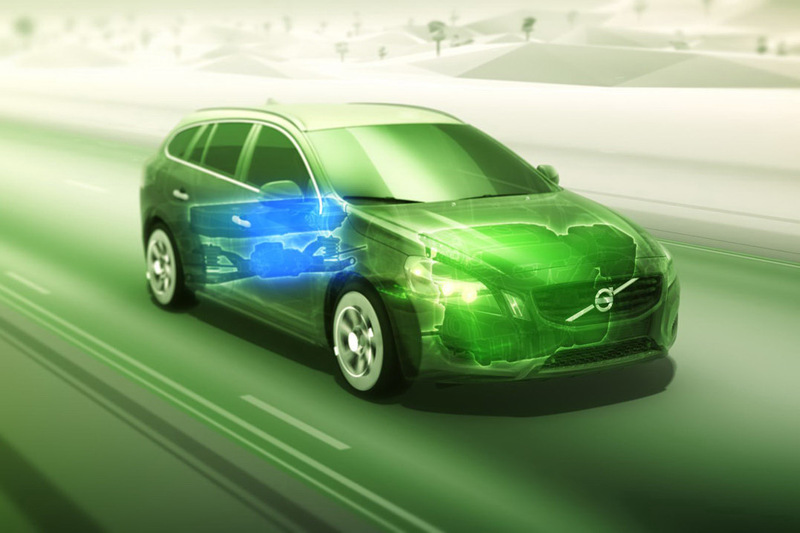 Through advanced automatic monitoring of battery status and by encapsulating the battery and protecting it effectively in a collision, the result is a world-class safety level. “A holistic human centre approach and real-life traffic conditions are always the starting-point for our safety work. Based on our massive database with input from actual road incidents and accidents, we know where the focus must lie in everyday traffic conditions. 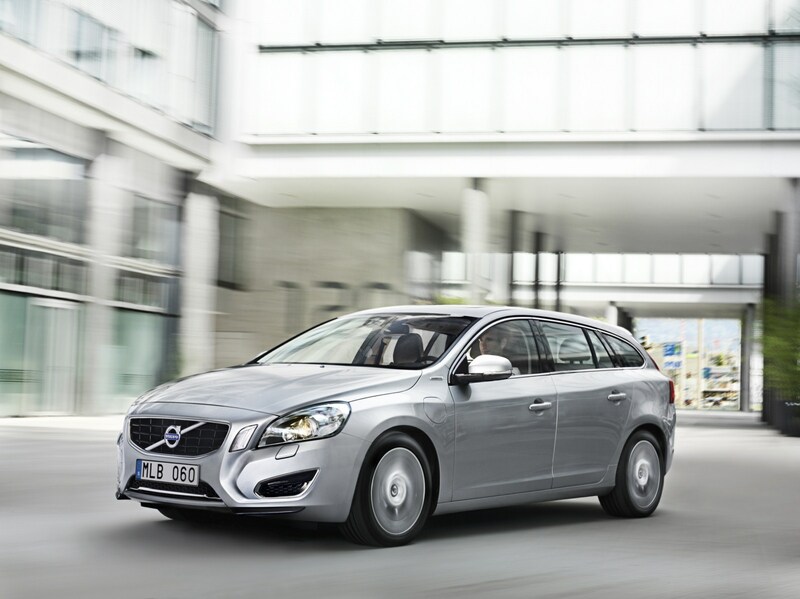 The solutions we have developed for the V60 Plug-in Hybrid take into account the situations that are unique to this type of car,” says Jan Ivarsson. Everything from the way the car is produced, used and serviced to the way they are recycled is analysed thoroughly and the information obtained is used to shape the development of the production car, which will be introduced in 2012. Know-how from actual traffic Volvo Cars is using its unique know-how from actual traffic conditions to carry out detailed testing and verification. This test procedure also includes the general requirements and protocols of the industry’s safety institutes. 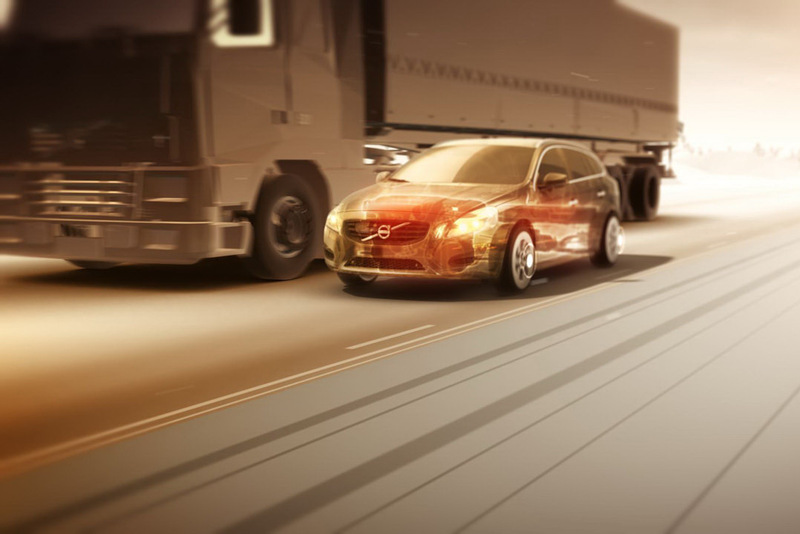 When Volvo Cars analyses traffic situations from a safety perspective, the engineers use a model that illustrates the sequence of events during the whole driving phase. The process is divided into five phases: from the normal driving situation to after the accident has occurred. 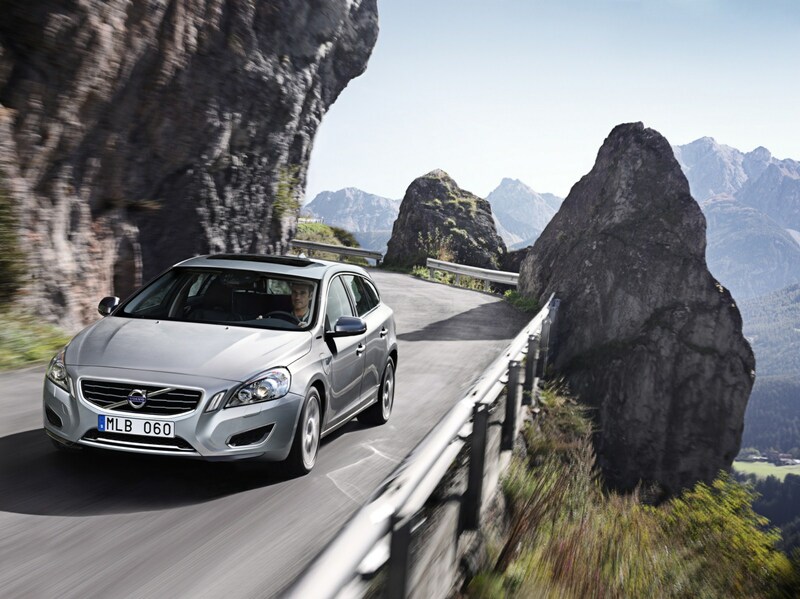 Based on these five phases, Volvo develops new safety solutions and improves existing ones. 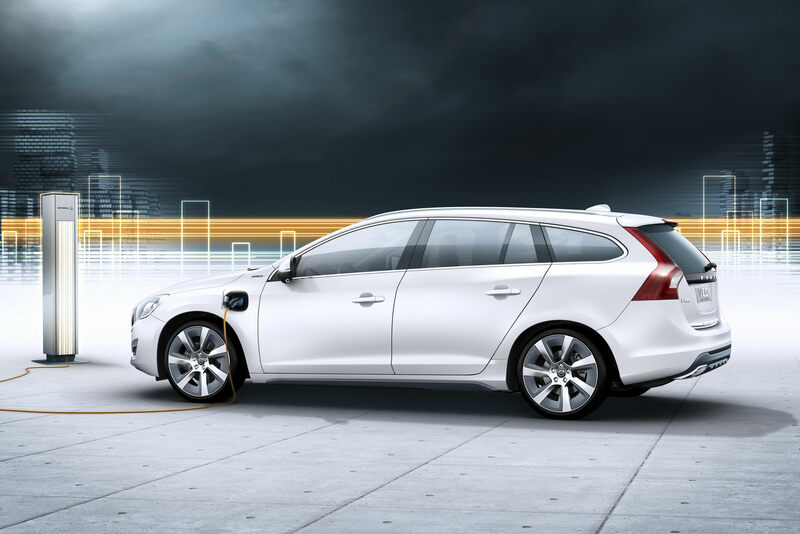 Unique solutions for electric cars All safety systems in the Volvo V60 will also be available in the plug-in hybrid version. However, electric power also adds new possible safety scenarios to the overall picture and these too must be dealt with. 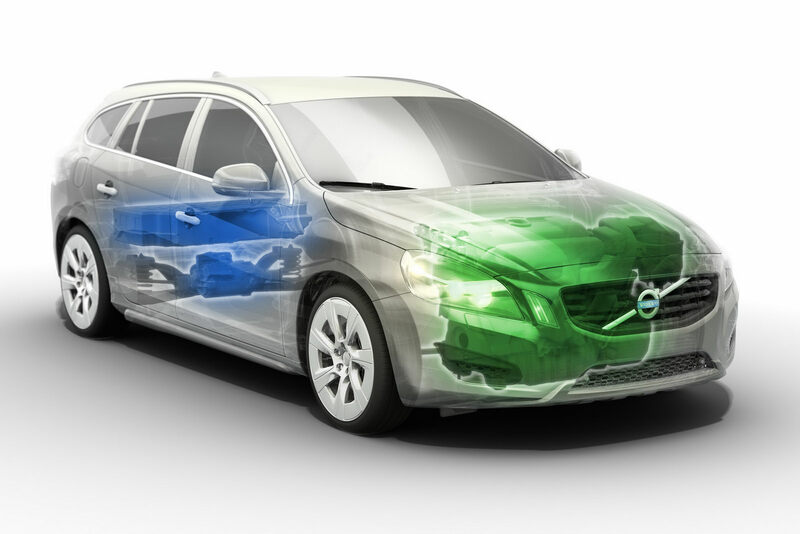 Volvo’s safety experts have meticulously analysed the five accident sequence phases and developed unique solutions for the battery and for protection of the occupants as necessary. 2. 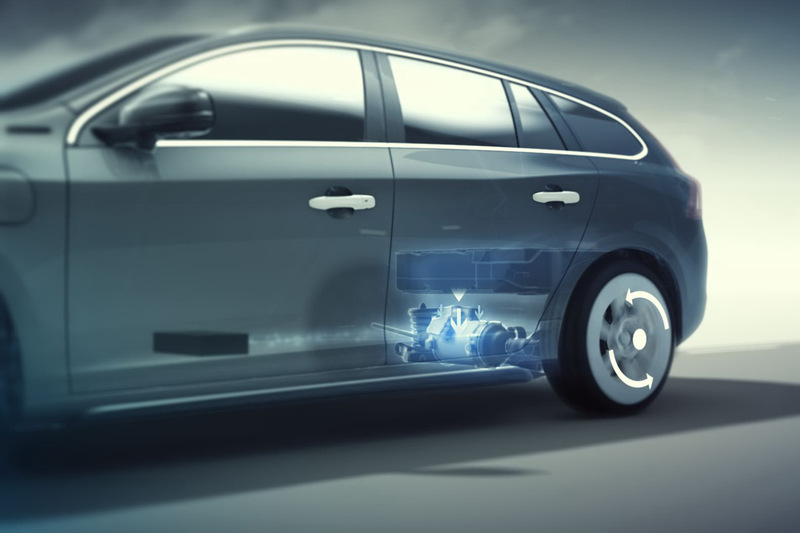 Conflict: The battery adds weight that can create new conditions for the vehicle’s dynamics and alter the car’s behaviour, for instance in fast avoidance manoeuvres. 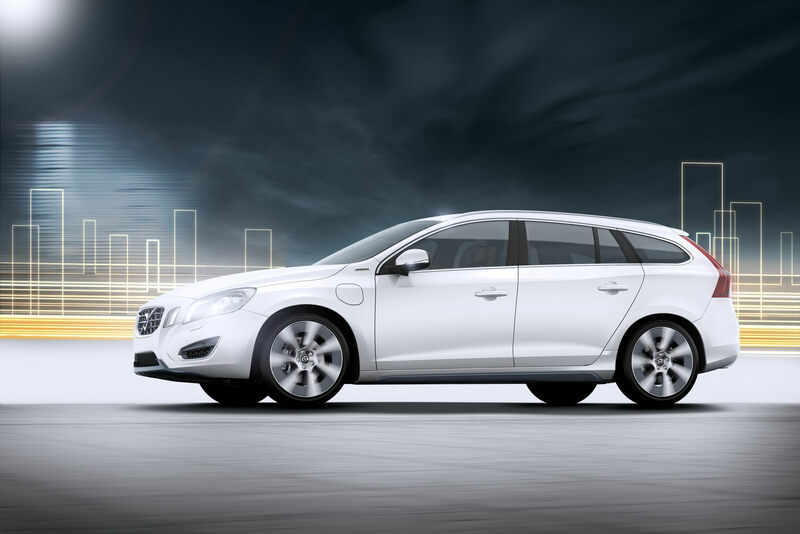 The Volvo V60 braking system can handle the increased mass, and DSTC (Dynamic Stability and Traction Control) helps the driver contain the situation. 3. 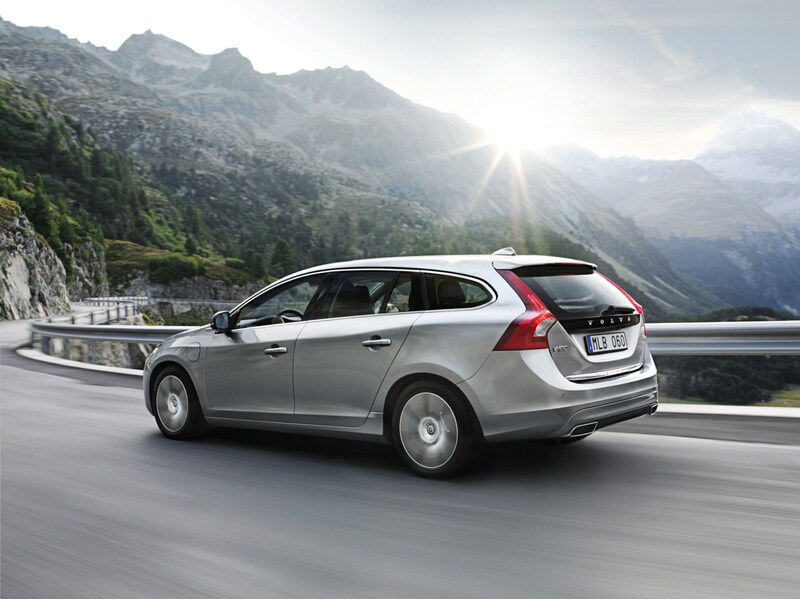 Avoidance: If a frontal collision is imminent and the driver is acting too late to brake the car, the V60 Plug-in Hybrid can activate automatic systems such as Collision Warning with Full Auto Brake and City Safety to help avoid or reduce the effects of an collision. 4. Collision: In order to reduce the effects of a collision, the battery package is well protected and separated from the car’s crumple zones and the occupants’ compartment. The battery is also sturdily encapsulated. Steel beams and other parts of the structure around the battery are reinforced to help protect it from being affected in a collision. If the battery is damaged, resulting in gas leakage, there are special evacuation ducts that lead the gas out under the car. In the event of extreme heat, the occupants are shielded by the battery’s encapsulation. At the very moment of collision, crash sensors linked to the battery send information about the collision to the car’s computer, which automatically shuts off the power supply to reduce the risk of a short-circuit. 5. 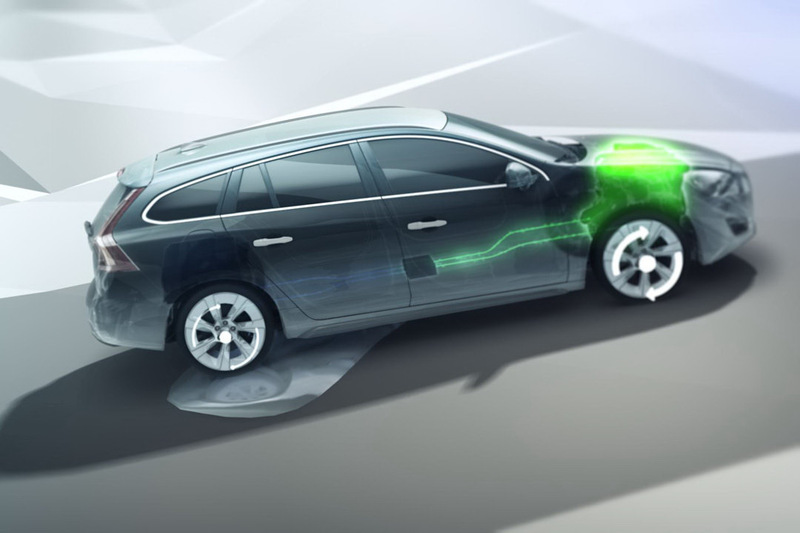 After the collision: The battery has a security cut-out that functions like a household earth fault circuit breaker. It shuts down and isolates the battery if the current travels in the wrong direction, for instance if two cables are pressed together as a result of an accident. 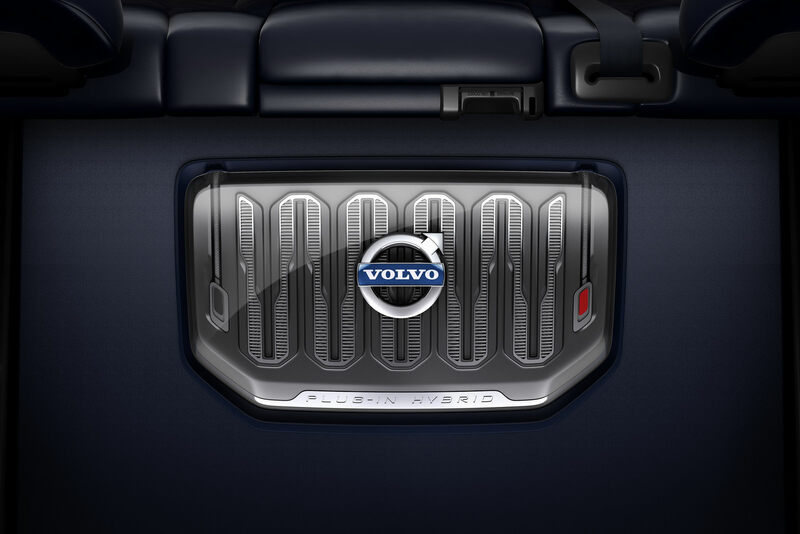 Volvo also works together with the emergency rescue services, providing them with detailed instructions on how best to handle various Volvo models in the event of an accident. 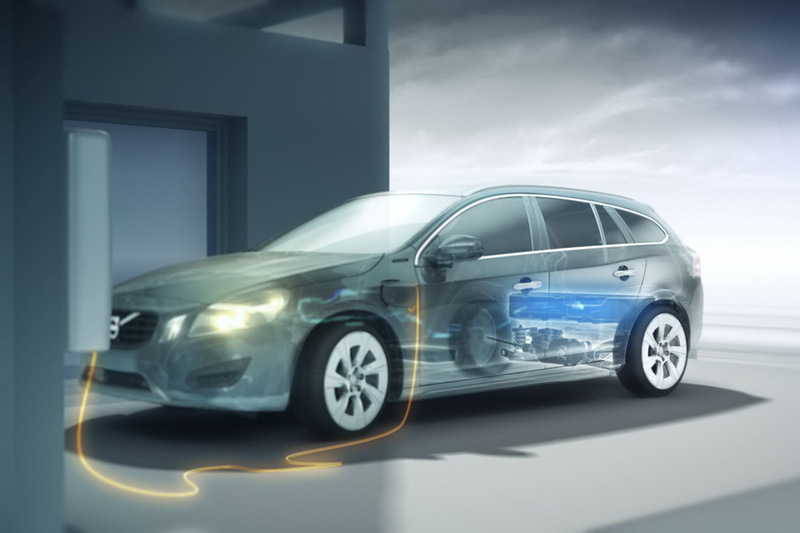 Safety when servicing and recycling The Volvo V60 Plug-in Hybrid is equipped with a service cut-out to quickly and safely disconnect the vehicle’s power supply. 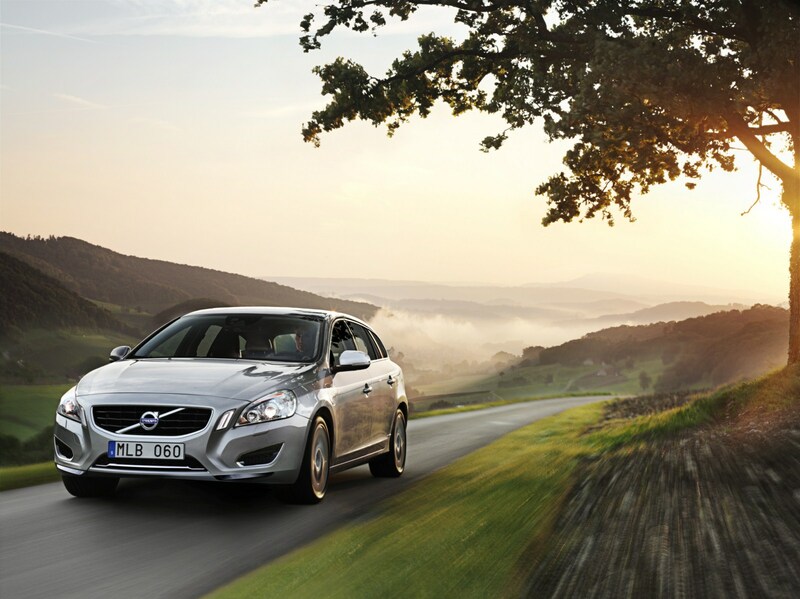 Volvo Cars and the battery manufacturers have far-reaching product responsibility as regards both production and recycling. This ensures proper handling of the battery when it comes to the end of its life in the car.